We've all been through this- we pick up any piece of clothing from a clothing store rack, fall in love with it, and then have our hearts broken due to the fact that it won't fit the way we want it to. While there are tons of intricate DIY project at our disposal to re-size most of our clothes, sometimes we just want to take the easy route. That's when you cue in these easy hacks from stylist and author Caroline Vazzana. INSIDER spoke to Vazzana to find the best tips and tricks to effortlessly keep your clothes flattering and form-fitting. 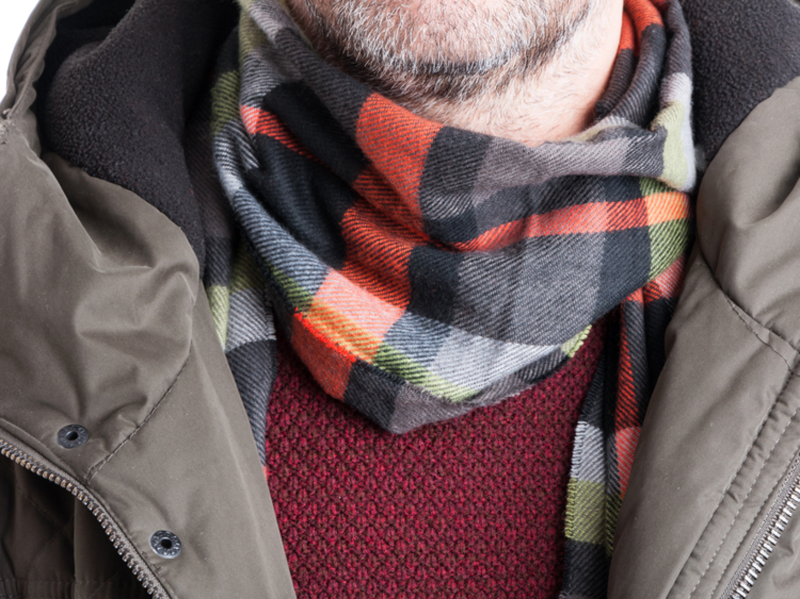 Layering is your best friend. If a top or dress is too low-cut, then throwing on a few layers can do the trick. Using layers over and under your revealing blouse can help you cover up while adding a unique twist to your outfit. And if you're not experimental with your style, don't fear, because even the simplest of layers can help recreate an outfit: for example, a white t-shirt under a slip dress can transform it from a not-work-appropriate outfit to office-ready apparel. 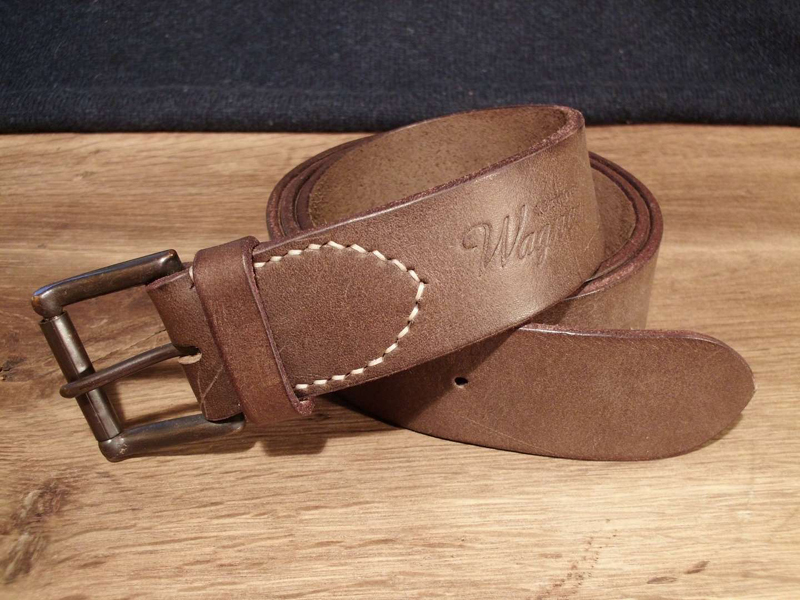 Simply grabbing your favorite belt can completely alter the fit of your clothing. You don't have to limit your belts to your pants. According to Vazzana, a belt can be used to give dresses and oversized sweaters a cinched figure for a more flattering fit. "A belt can be your best friend when it comes to ensuring an item fits properly and looks amazing," she said. If your pants aren't staying up and you don't have a belt on hand, tuck in your shirt. Not only is a tucked-in shirt a stylish upgrade to your outfit, but it can help make your pants, skirts, and shorts fit better. And no worries about chunky sweaters- the thicker material, the better. Thick materials will help hold your bottom pieces in place, leaving you at peace while staying contemporarily chic. Try on clothes before you buy them. This one may sound like a given, but a lot of us skip the fitting room line and head straight for the cash register. No matter how long the line is, Vazzana recommends trying on items before heading out of the store to make sure they're a perfect fit. "Not all brands are sized equally so be sure to try on prior to purchasing," she said. "Some brands run smaller/larger so trying on an item is key to ensure the proper fit." 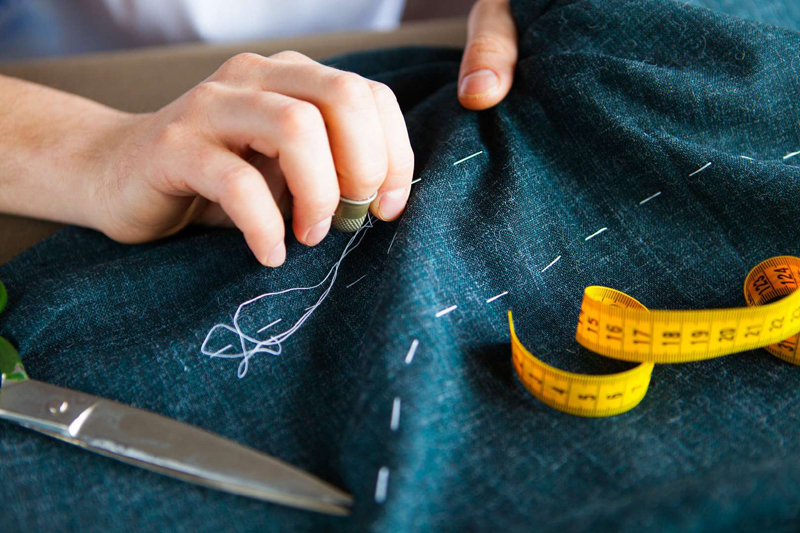 While heading to the tailor can seem intimidating at first, it's one of the best ways to make sure that your clothes fit perfectly to your shape, according to Vazzano. "Every body type is different so it's so important to have a good tailor on hand to help tweak and refine some of your favorite garments to ensure they fit your body the best," she said. "It's amazing how extending or shortening a hem, or taking something in a few inches can transform a look." And if you're trying to stay on budget, then you can easily hem your clothes yourself. A quick YouTube search can offer tons of DIY tailoring videos that can easily take you from sewing novice to tailoring pro. Heels can help with pants that are too long. Long pants can drag and rip, which can make wearing some pants and maxi skirts a nuisance to wear. That's when you should bring in the heels - they're an instant way to add extra inches to your height, so you can walk in long pants at ease. Just pair your bottom pieces with a pair of heels at any height to avoid any tripping or stumbling on your pants and skirts. If you can swing it, shop in the kid's section. Believe it or not, but Vazzana noted that the kid's section is a great place for smaller fits to find form fitting (and surprisingly stylish) articles of clothing. "If you are petite, shopping in the children's section may be your best bet," said Vazzana. But, the fit isn't the only thing you should be excited about. Vazzana also said that children's sizes are usually cheaper, so it's a great section to find clothing at a bargain. This hack also works great for shoes.